North Devon is a hub of activity all year round, with a variety of activities and places to visit that suit all ages and paces of life. Aside from the wonderful beaches and the beautiful scenery, there are also many attractions and a range of things to do. Wolves, lions, monkeys, meerkats, wallabies, penguins, sea-lions and much more await at Combe Martin Wildlife and Dinosaur Park in North Devon. The whole family will love the feeding, the educational talks and all the fun and games of this attraction that is also filled with electronic dinosaurs lurking in the bushes! We highly recommend catching the sea-lion show for the humorous display and a chance to be photographed with the beautiful animals. Visit during October Half Term for a Halloween twist, with spooky trails and a terrifying underground tomb! 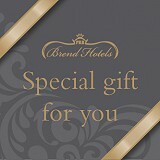 Imperial Hotel guests receive 10% off the entry fee. At RHS Gardens Rosemoor, you can enjoy 65-acres of beautifully planted flower beds, set within a pretty wooded valley. Around every corner, there's a lovely surprise and the gardens are home to plants from around the world. Whatever time of year you visit, the gardens are a sight to behold, but the autumn colours during October Half Term make it an extra special time to visit. 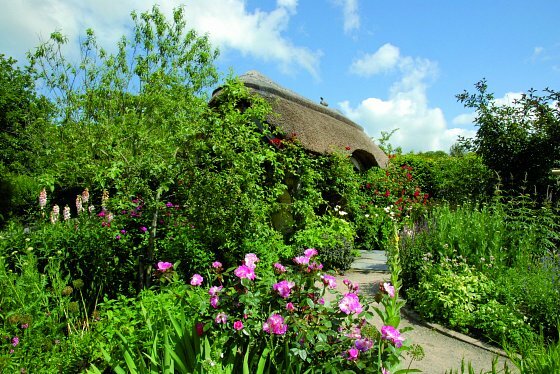 Highlights include an original Stone Garden, a romantic Cottage Garden, a Fruit and Vegetable Garden, a classic Woodland Garden, plus a stream and rock gully - a dramatic mini-landscape with a distinct atmosphere. 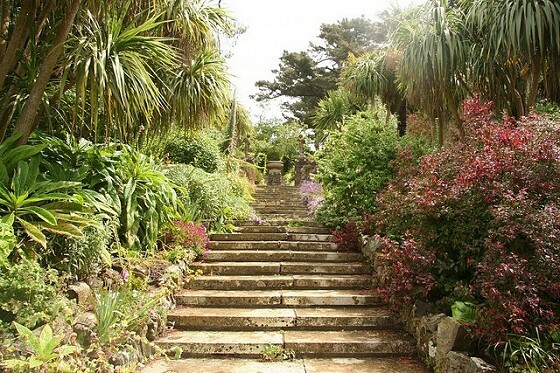 There are many garden strolls and hidden treats to find, that need to be seen to be believed. Bring the family to Rosemoor to see nature at its best - plus you can gift hunt in their unique shop, dine in the award-winning restaurant and take part in an array of events. On the 20th and 21st October, they’ve got an Autumn Antiques Fair with carefully selected stallholders from across the South West - a wonderful opportunity to pick up something unique. On the 23rd October is a talk on Lime Kiln and the Rolle Canal - a chance to take a look at Rosemoor's lime kiln, following a talk about the Rolle Canal, its history and how the kiln was used. Finally, on the 26th and 27th October, young ones can discover Room on a Broom - a free interactive workshop and film event with pumpkin carving too. Halloween fancy dress is optional for both adults and children. Imperial Hotel guests pay £8 entry instead of £12.65. The Exmoor Beast is a famous black cat said to roam Exmoor National Park, a region in North Devon and Somerset. The moorlands, rolling hills and jagged cliffs make it a spooky setting for such a creature. The large cat has had many apparent sightings and is said to have tormented farmers and cattle over decades. One theory is that a wealthy animal owner released a range of illegal animals onto Exmoor - and the black cat survived! Exmoor Zoo, in North Devon, has played on the Exmoor Beast story, branding themselves as owning the beast itself - the black leopard! 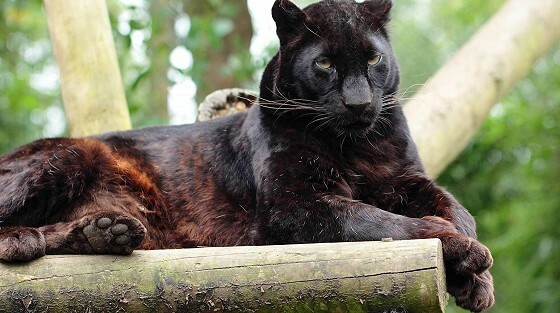 In fact the zoo has the only pair of black leopards on exhibit in the UK! They are also the home of cheetahs, wolves, African wild dogs, wallabies, lynx, singing dogs, reindeer, a great number of monkeys, a wide range of birds of all sizes and types, snakes, tortoise, reptiles, bugs and much more! 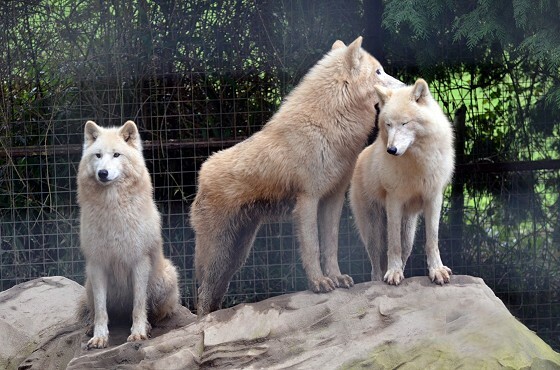 Talks and feeds take place from 10.30am to 4.30pm every day so the whole family can learn about many of the animals from the enthusiastic staff. Then for Half Term, they will be embracing Halloween with a Spook-tacular event, with an additional education dungeon and extra quizzes at the talks. Imperial Hotel guests receive 15% off entry prices. The same family have owned Tapely Park Gardens for almost 300 years. The grand house sits on top of the hill, so its grounds have stunning views over the Torridge estuary, where it’s possible to see Lundy Island and Saunton Sands beach. Entry is for the grounds and gardens only, but with the house in the background, there are many beautiful sights, flowerbeds, plants and photo-worthy scenes to take in. The Italian garden and the wonderful borders are home to very rare plants grown successfully due to the microclimate. Meanwhile, the walled kitchen garden produces organic vegetables and fruit for the Tea Rooms for use in tasty meals, which you can purchase. The Permaculture Garden also continues to grow from strength to strength and is a delight to visit. Make sure you explore in order to visit a lake with massive Thuja Plicata trees and a Granite Labyrinth too. Imperial Hotel guests receive 2 for 1 entry. Finally, our own hotel is an ideal place to relax and unwind during a busy week, and when paired with the facilities of our sister hotels in Barnstaple, there's plenty of places to dine, drink and watch the world go by. For those staying with us over October Half Term, rest weary heads in your well-equipped bedroom and make sure you enjoy a hearty meal as included in the price. 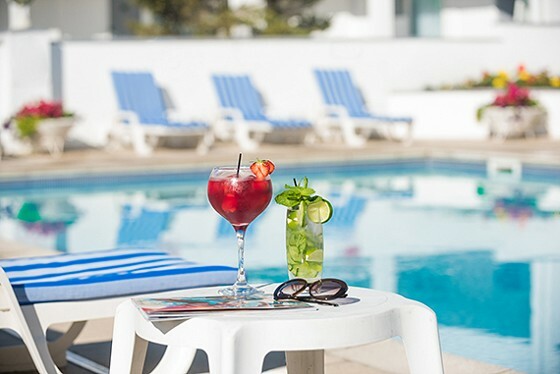 Make the most of the indoor (and outdoor) swimming pools and leisure facilities of The Barnstaple Hotel for free and dine in style at various locations around town with The Barnstaple Collection. Perfect for enjoying a bit to eat or a warm drink between shopping and full days out. Looking to book a room? Visit our Offers Page for our latest deals this October - or any time of year. We hope you’ve enjoyed our things to do during October Half Term in North Devon guide and that it’s provided inspiration for your breaks. If you have any questions, phone us on 01271 345861 or contact us via Facebook, Twitter or Instagram.